President's Day is the popular and commonly used name for the United States federal holiday officially called Washington's Birthday. 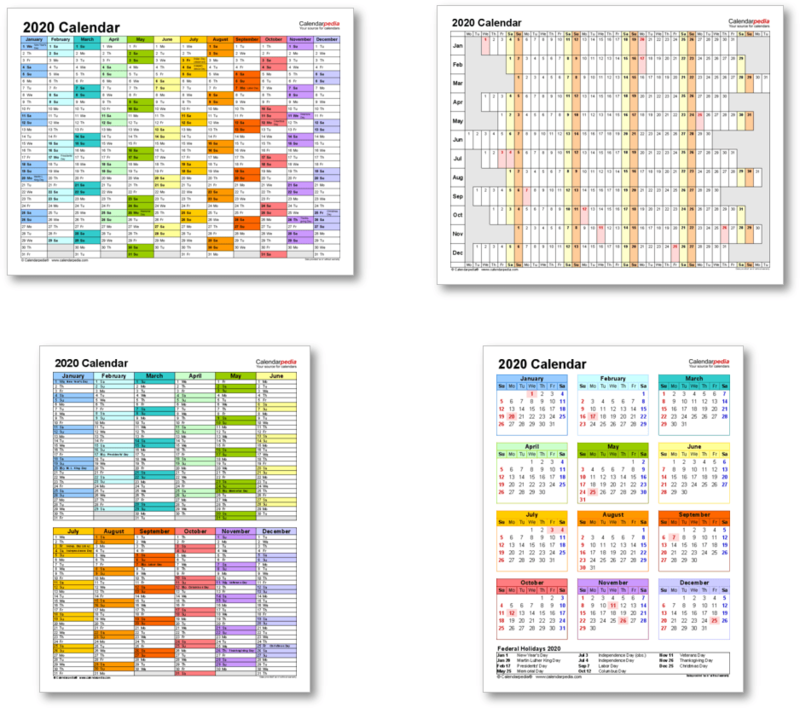 It is celebrated annually on the third Monday of February. 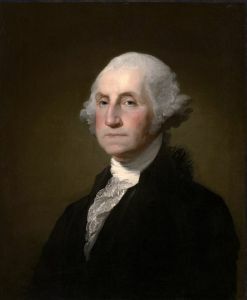 President's Day honors and celebrates the life and achievements of George Washington, the first President of the United States (1789-1797) and 'The Father of his Country'. The day is, in practice, often used to honor and remember all past US presidents, and in particular Washington, Abraham Lincoln and Thomas Jefferson. President's Day was created in 1879, first celebrated the following year. It was originally held on Washington's actual birthday (February 22). In 1971 this was changed to the third Monday of February. It was the first federal holiday to be created in honor of an American citizen. President's Day is an occasion for community celebrations and parades. Many stores and businesses hold special sales. The Purple Heart military badge (which carries an image of Washington) for soldiers injured in the course of duty is awarded on President's Day. 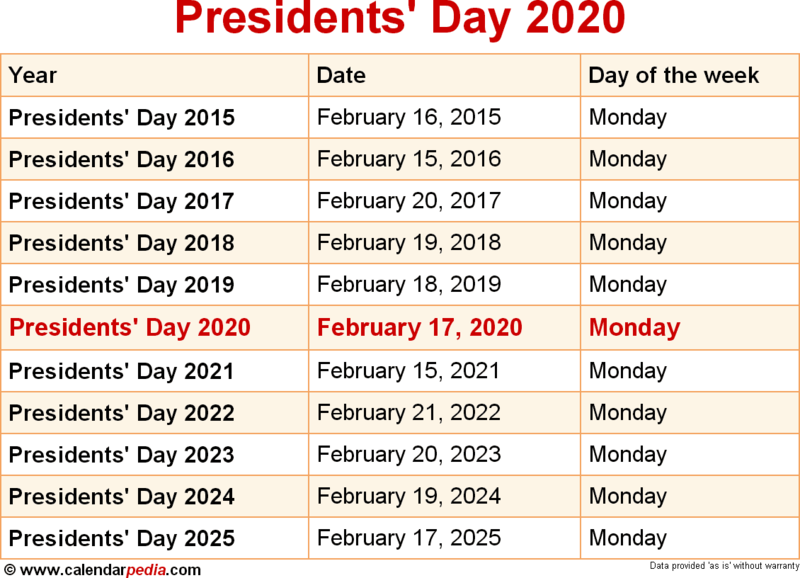 The next occurrence of Presidents' Day is marked in red.